Splenda advocates and defenders were given an inconvenient truth from a new study that put the brakes on Splenda’s parade of health claims for marketing purposes. 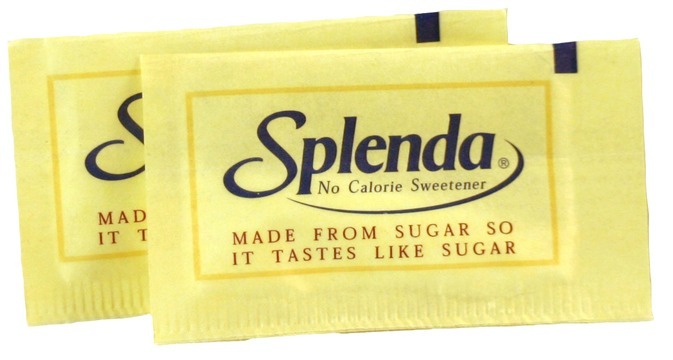 Splenda is the brand name for sucralose. One of the health claims for this chemically-altered sucrose is that its molecules are inert, they don’t produce internal biochemical changes. And even though it sweetens much more efficiently than chemically-unaltered table sugar, it is completely eliminated from the body naturally after ingestion and not stored as fat or even used as energy. Therefore it is calorie free. This most current sucralose animal study turns the claim that it is not stored in the body completely upside down: “The average Splenda users should be informed that sucralose is accumulating in their bodies and that it forms metabolites whose effects are unknown. The long-range effects of sucralose are not understood. Furthermore, we already know that it has adverse biological effects,” stated study author Susan Schiffman, Ph.D. Interestingly, the fact that all the rats in the study gained weight counters claims of non-calorie weight loss that’s promoted with sucralose. The fact that metabolites are formed and detected proves that sucralose is not an inert substance. What those metabolites are, where they are stored, and what dangers they might create, has been addressed by this new study and other studies prior to 2018.